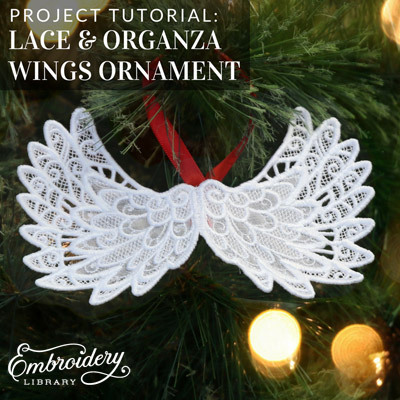 Sheer organza and stunning freestanding lace combine to create a pair of wings perfect for hanging on your Christmas tree! 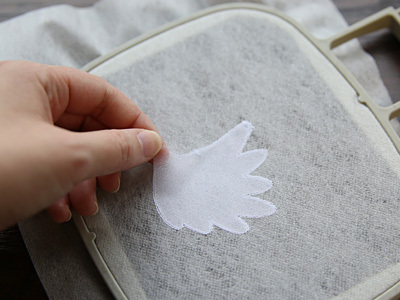 Follow the steps in this project tutorial to see how it's created. 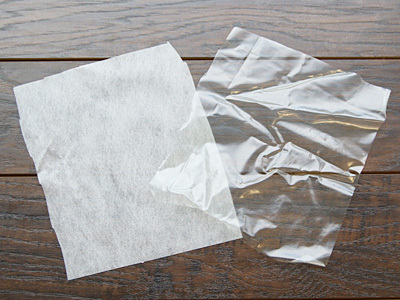 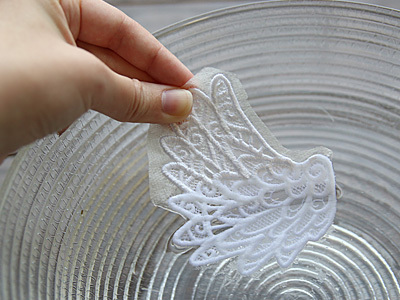 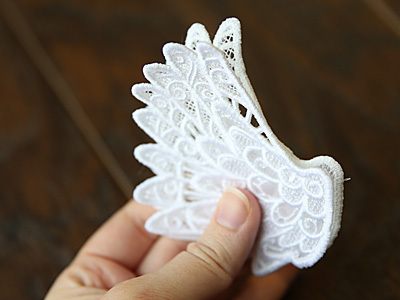 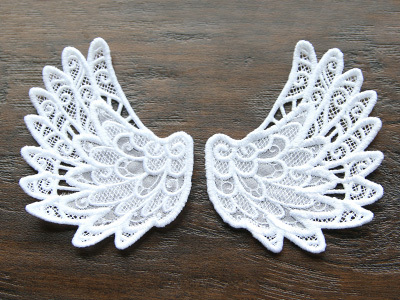 For sturdier wings, starch the lace organza pieces before assembling. 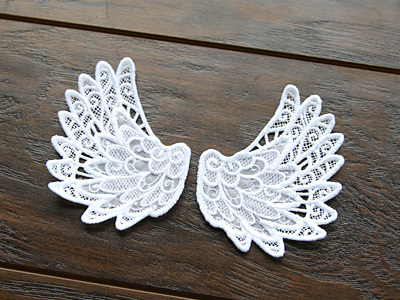 When you download the lace ornament cover design, you will find a total of six files. 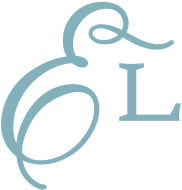 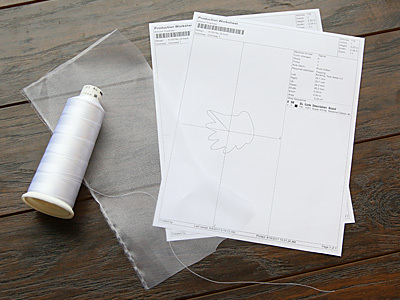 One of the files is embroidery file and the other two are dieline files marked with the letters DL. 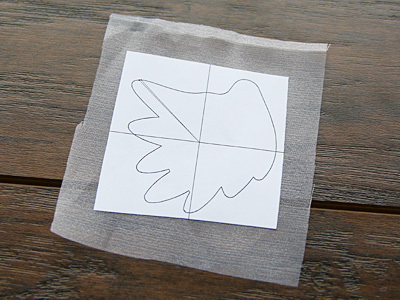 Cut out the shape and repeat to make the back dieline piece. 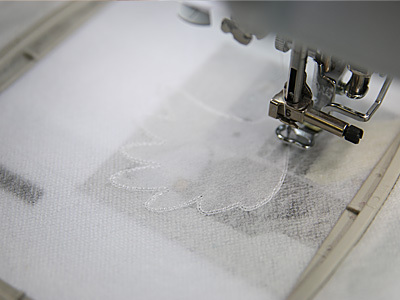 Load the embroidery file marked with an "a" onto the machine (not the dieline), and embroider the design. 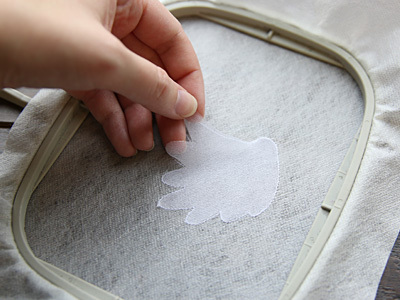 Spray the back of the front piece with temporary adhesive. 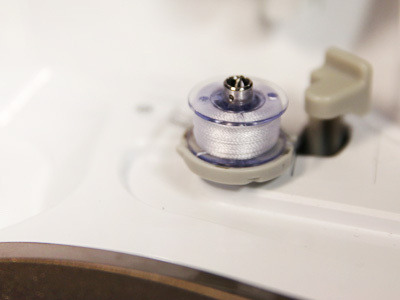 Remove the hoop from the machine, but do not unhoop the stabilizer. 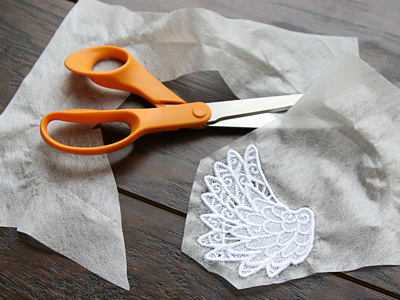 Place the fabric piece right inside the sewn dieline (after removing the paper dieline). 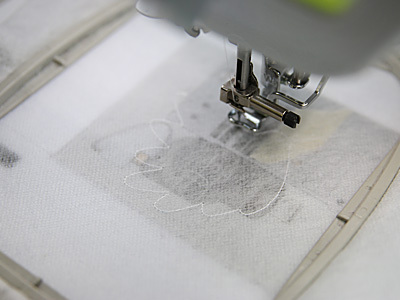 Look at the color change sheet, and stop the machine before sewing "back piece tack down." 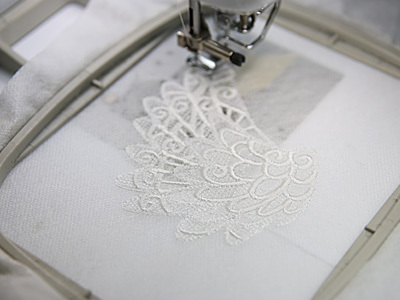 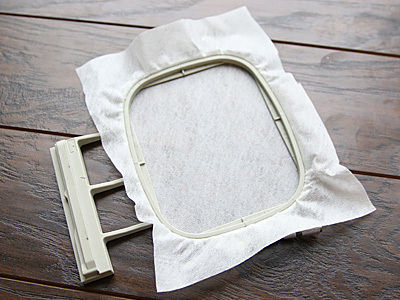 Place the hoop back on the machine, and embroider the back piece tackdown. 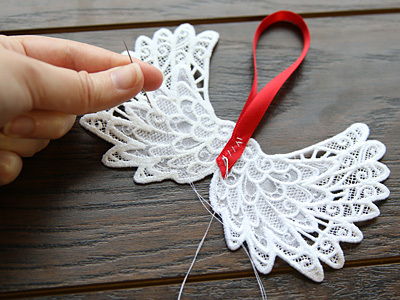 Repeat the previous steps to prepare and embroider the other half of the wings (labeled with a "b"). 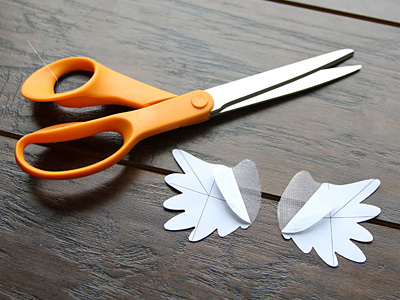 To assemble the wings, match the two wing pieces up with the wrong sides together. 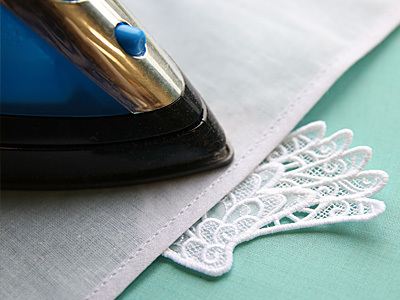 Sew them together along the straight edge using a hand sewing needle. 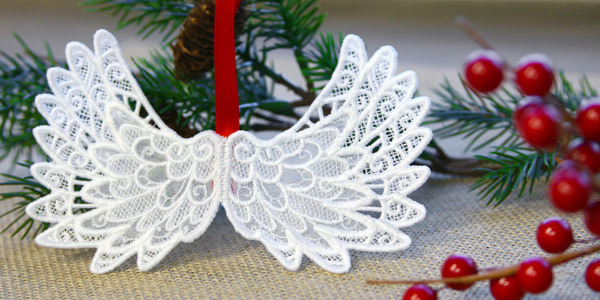 Cut a 7" length of ribbon and make it into a loop to create the ornament hanger. 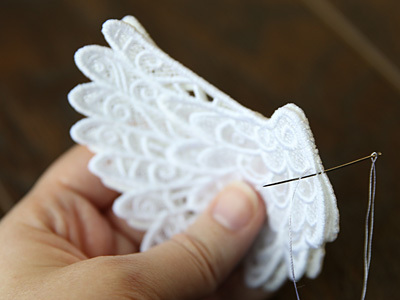 Then hand sew the two ends of the loop to the backside of the wings right where the two pieces meet.